What IS the biggest difference between mink and synthetic eyelash extensions, and should people actually choose one over the other? Hi everyone, I'm Farrah and I don't have long, beautiful eyelashes that you see in mascara ads! In the past I've tried lash lifts and that viral 3D mascara on Facebook, but I've always been curious about eyelash extensions. So I decided to go on a journey to figure out the specifics on getting "high end" extensions versus cheaper alternatives. In order to give you, my loyal audience, the most detailed and informative editorial piece into my eyelash extension journey, I created a few rules. * I'd receive what's marketed as "luxurious" high quality eyelash extensions and compare them to a lower cost alternative (synthetic). * I'd wear both sets of eyelash extensions until they organically shed and photograph the process week by week. * At the end, I would write up the pros and cons of both types of lash extensions. There are two reasons I've always wanted to try lash extensions. 1) My lashes are naturally heavy/straight without a natural curl, and I feel like the length/curl makes me look less tired. And 2) my eyelids are uneven (LOL you can't unsee it now) and I'd hoped extensions would give the allusion of evening them out. My first stop was Beverly Hills Lashes. I specifically chose this place to receive "higher end" genuine Siberian mink lashes because they made sure to state on their website that they are cruelty-free, which was important to me. A full set is $300. My lash technician was named Kourtney. 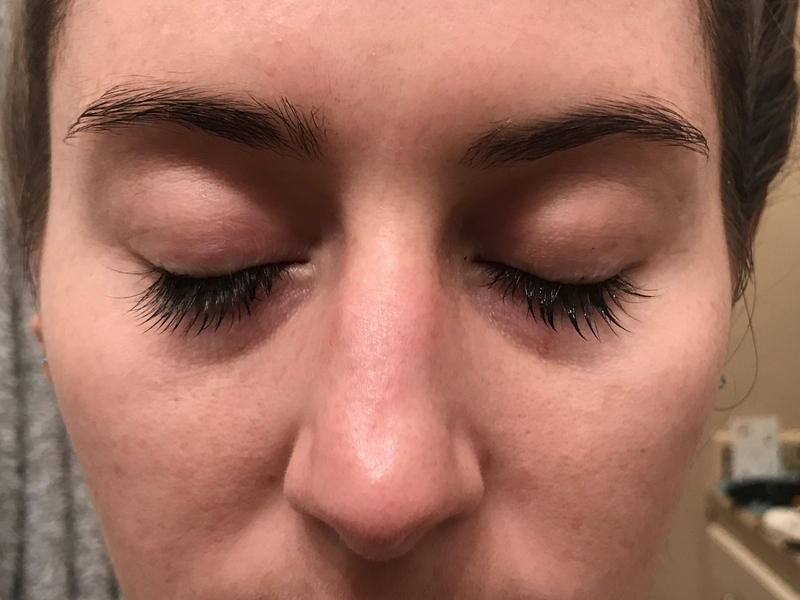 She's been doing lash extensions for several years and because she's an expert in her field, I was able to interview her to get some detailed information about different types of lash extensions. * Pricing doesn't necessarily boil down to the type of lash extensions, but the time and talent your lash artist is providing you for this service. * There's different thicknesses in lash extensions. * Some client's lashes can handle a thickness that other's cannot. (You don't want to weigh it down.) 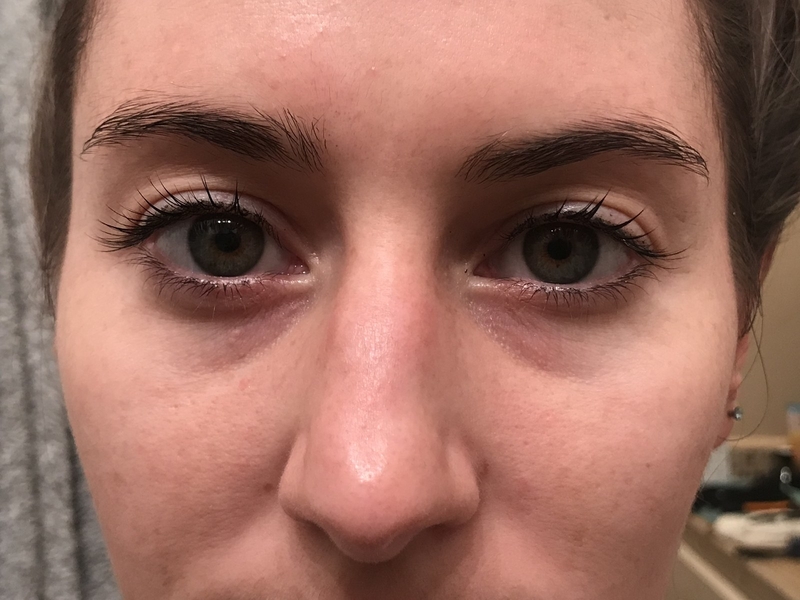 People start to have issues with lash retention when they have a type of lash that is way too heavy and their natural lash can't hold onto it. * Real Siberian mink lashes vary in thickness but because they are not manmade, there are not a lot of options in sizes. Here's what the real mink lashes looked like a few hours after they'd been applied. The first thing I noticed was that they looked so natural — almost like they could have been my own! My one tiny complaint is that I wished they were slightly curler. Sleeping was a bit of a challenge. You're supposed to sleep on your back so you don't mess up the lashes, but I'm usually a side sleeper. I tried by best, but the first few mornings I would wake up with a little shedding. I learned that some lash clients wear GOGGLES in the shower while washing their face, since you're not supposed to have direct eye contact with the blast of shower water. I didn't do that but was careful to gently wash my face with a washcloth and clean my lashes with the provided tools. I wanted them to last as long as possible! I wore eyeliner on day three to see what the lashes would look like with makeup. I wasn't disappointed, although I wish they had a little more lift! Overall, the lashes lasted 21 days/three solid weeks before I thought they began to look a little sad. I documented their journey below so you can see for yourself. Next it was time to try out synthetic lashes! By the fourth week, nearly all my mink lashes had shed, as you can see below. I ended up going to Blinkbar in Los Angeles for synthetic lashes. On their website it says they offer synthetic at a fraction of the price of competitors, but they still looked really fantastic! It is $129 for a full set. Compared to the real Siberian mink, they seemed much more voluminous and in-your-face. Before I went to my appointment, I was able to talk to Blinkbar's founder, Tirzah Shirai. When I asked her what the main difference between Siberian mink lashes and synthetic lashes were, she said it came down to price point, quality, and the most important part, what type of look you wanted. * Siberian mink lash extensions are hollow on the inside, weightless, and lighter lashes. They're not manmade, so there's an imperfect quality to them. * Synthetic lashes come in 200+ shapes and sizes and can be styled. So, you can choose the type of curl, thickness, style. Basically, it's up to you to decide what look you want. If you want more of a long lash, dramatic, "Kardashian" type look, synthetic is probably a good way to go. The Siberian mink lashes a good for people who want a very subtle, natural appearance. And because the mink lashes take longer to apply, it makes sense that there's a bit of a price jump. Once I saw myself in the mirror, I was like WHOA BABY THESE ARE LONG! But honestly? I didn't hate them! Compared to the mink lashes, they were a lot more noticeable. When I got back to work, everyone was like, "Wow your lashes!!!!" On the third day, I wore the lashes with eyeshadow and looooved the way they looked. It was almost like I'd curled them and put lengthening mascara on — except I obviously hadn't. Anyway, you can scroll onward to see my synthetic eyelash shedding journey over the next three weeks. In the end, I learned that you really have to know what kind of style lashes you want. I liked the both for different reasons and they both lasted about the same length of time. Even though there is a pretty large price difference between mink and synthetic, I genuinely don't believe one was "better" than the other.